Community members are asking questions about why an officer fired into a car, killing an unarmed 15-year-old boy. BALCH SPRINGS -- Community members are asking questions about why an officer fired into a car, killing a 15-year-old boy. According to Balch Springs police, officers responded to a report of intoxicated teenagers on a residential street in the 12300 block of Baron Drive at 11 p.m. Saturday. Neighbors said a large house party was underway at the time. Police say when officers arrived on the street, they heard gunfire and then a car filled with passengers back towards them. "There was an unknown altercation with the vehicle backing down the road towards the officers in an aggressive manner. An officer shot at the vehicle, striking a front seat passenger. The individual was transported to the hospital where he was pronounced deceased," according to a news release by Balch Springs police. The department didn't identify the officer involved, but it says he's been placed on administrative leave. Police are not identifying the boy, but friends say he was 15-year-old Jordan Edwards. The Dallas County Medical Examiner's Office has ruled his death a homicide, due to a rifle wound to the head. Many of his coaches and community members showed up at a news conference Sunday afternoon demanding answers from authorities and expressing frustration over a lack of information. "Great kid. Awesome parents. He was not a thug. This shouldn't happen to him," said Chris Cano, whose son played football with Edwards. Mesquite ISD¹s deepest sympathies and prayers are with the family and friends of this young man who tragically lost his life late Saturday evening. He was a good student who was very well liked by his teachers, coaches and his fellow students. The entire district -- especially the staff and students of Mesquite High School -- are mourning this terrible loss. Balch Springs Police Chief Jonathan Haber said he's already met with the family of the boy and has expressed his condolences. The department immediately turned over its investigation into the incident to the Dallas County Sheriff's Department. It didn't offer any further explanation for why the officer felt threatened, but Attorney Lee Merritt, who is representing the Edwards family, disputed the police account. He said there was no aggression from the vehicle. He also said none of the occupants in the vehicle were armed. "They were simply leaving a party where they believed danger was, so I can't wrap my mind around why an officer decided to shoot into the car," said Merritt. Merritt said the Edwards family wants to see police body cam footage and wants better answers for how the incident unfolded. He said one of Jordan Edwards' brothers was also riding in the vehicle, and the driver was also 15 years old. WFAA reached out to the Dallas County Sheriff's Department, but hasn't heard back on the investigation. "The Dallas County District Attorney’s Office’s Public Integrity Unit includes a specialized group of experienced attorneys and investigators. The Civil Rights Team responds to all officer involved shooting in Dallas County to conduct an impartial and independent investigation. 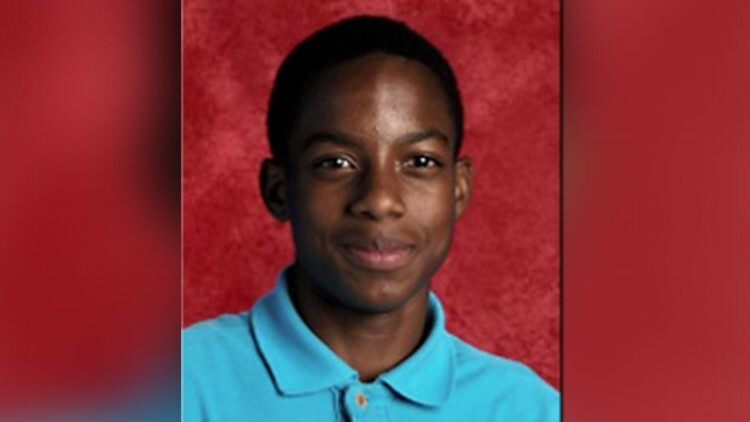 As such, the Dallas County District Attorney’s Office is investigating the death of Jordan Edwards. We offer our sincere condolences to Jordan’s family and will continue to keep them in our thoughts and prayers as we move forward expeditiously, with a commitment to justice and transparency. " "I am deeply disturbed by the initial reporting of the events surrounding the police involved shooting death of Jordan Edwards. On behalf of the Dallas NAACP, I offer our sincerest condolences to the family of Mr. Edwards and remain in continued prayer for all of those involved and affected by his untimely death. This death of a 15 year old honor student seems to be a tragedy that could have been avoided. I am extremely concerned at the policing practices that were utilized during this incident that seem excessive. From the initial accounts there was no weapon present in the car and none recovered from any of the young people involved in the police-involved shooting, in addition, there are questionable facts to the car being used as a weapon. Even in that latter scenario there are best practices in law enforcement profession that do not involve the use of deadly force. Furthermore, the officer’s decision to aim their gun toward the individual in the passenger seat brings suspicion to the officer’s claim that the car was used as a weapon since the driver was in control of the car. While we are awaiting all facts to be release, we trust that the Dallas County Sheriff Department will do a thorough investigation and act with full transparency as we attempt to responds to the community as it struggles with the loss of this gifted young man whose life was cut short far too soon.